Happy New Year! | Quilting my way through life! 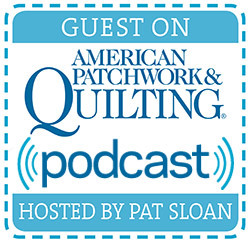 Thank you to everyone that checked out The Quilt Pattern Magazine website and commented on my blog these pasts weeks. I know it’s going to be fun to receive an on-line magazine full of new projects and not worry about clutter or recycling. You have until January 31st to claim your prize of a year’s free subscription at The Quilt Pattern Magazine. To those of you who are not winners, you can still get a great magazine at a wonderful price just by subscribing.